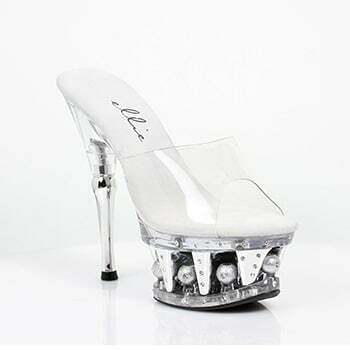 6″ Disco Ball Platform/ Clear Mule. Barbara 6″ Pointed Heel Mule W/Buckle. Diamond 6″ Heel Rhinestone Sandal. Harmony 6″ Heel W/ Rhinestones On Platform. Juliet 6″ Heel Leather Sandal. 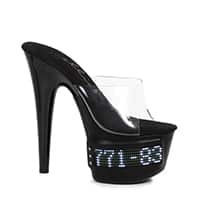 Juliet-G 6″ Heel Glitter Sandal. Nile 6″ Heel Knee High Strap Up Sandal. Queen 6″ Heel Sandal W/Silver Rivets. Unicorn 6″ Pointed Stiletto Sandal. Wanda 6″ Black Heel Sandal. © 2017 Naughty Girls Inc. All Rights Reserved.